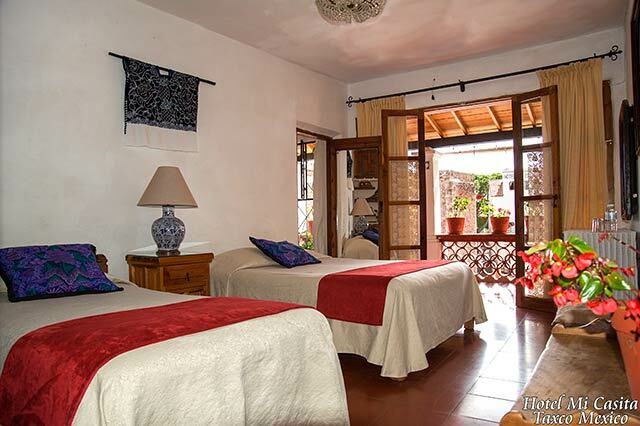 The Alegria, is located at the center of the main floor. 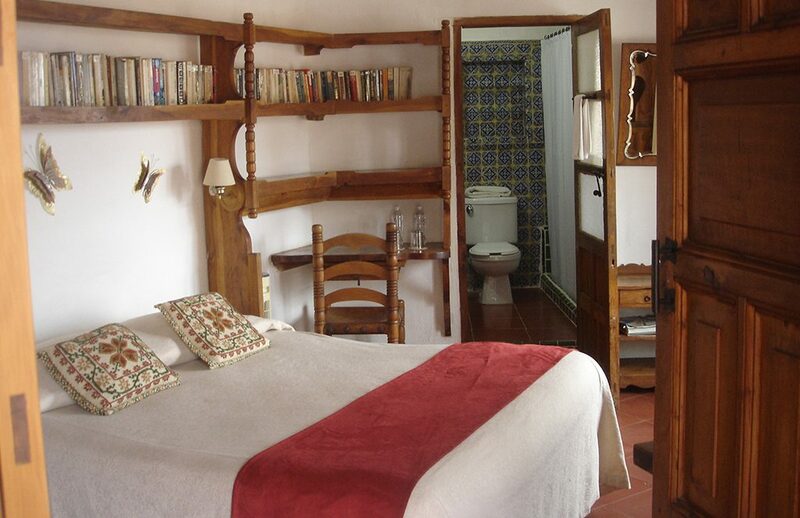 It has it’s own private bathroom and is decorated with the original family furniture . 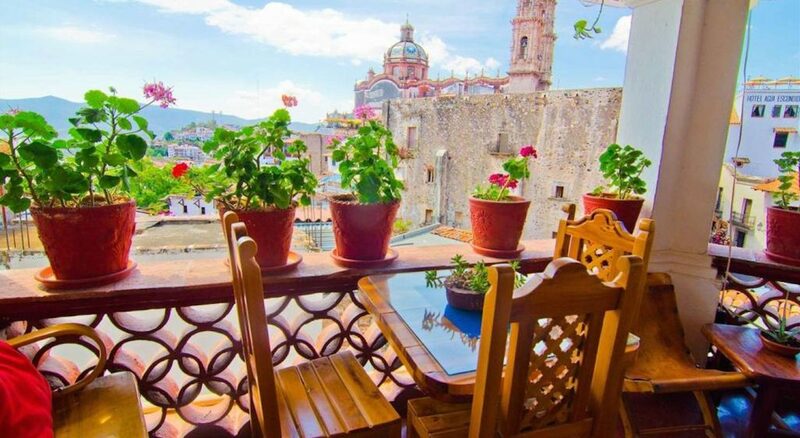 It faces the main plaza which can be viewed from the shared terrace . 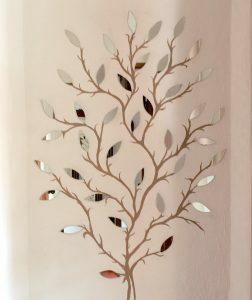 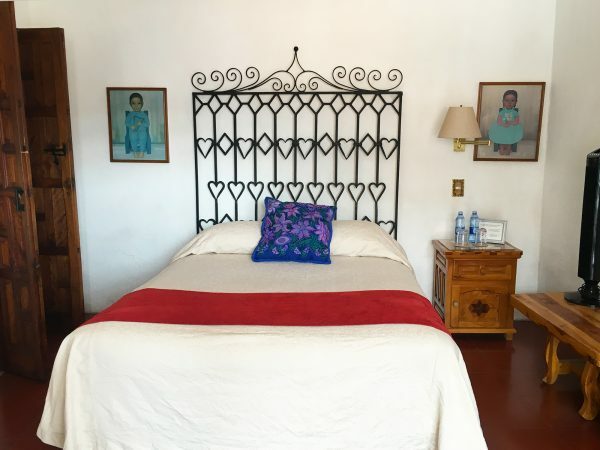 Los Libros guest room is located on the east side of the main floor, with it’s own balcony with views of sunrise in Santa Prisca and the mountains. 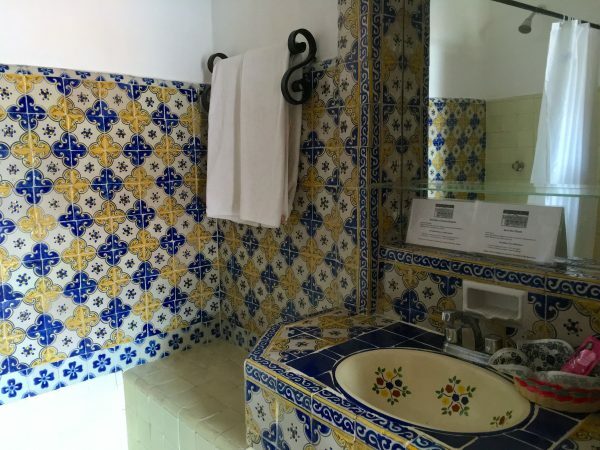 It also has it’s own private talavera bathroom and out on the main terrace has a sitting area to absorve the view.